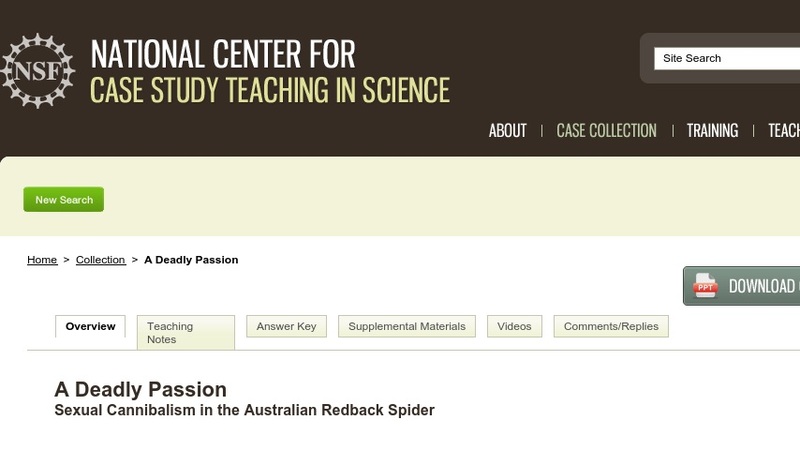 This "clicker case" teaches students about the distinction between proximate and ultimate causes of behavior using the fascinating courtship and mating rituals of the Australian redback spider. The case is presented in class via a PowerPoint presentation (~3MB) punctuated by multiple-choice questions that the students answer using personal response systems, or "clickers." It could be adapted for use without these technologies. Although developed for a general biology class, the case would also be suitable for use in non-majors introductory biology or behavioral ecology courses.